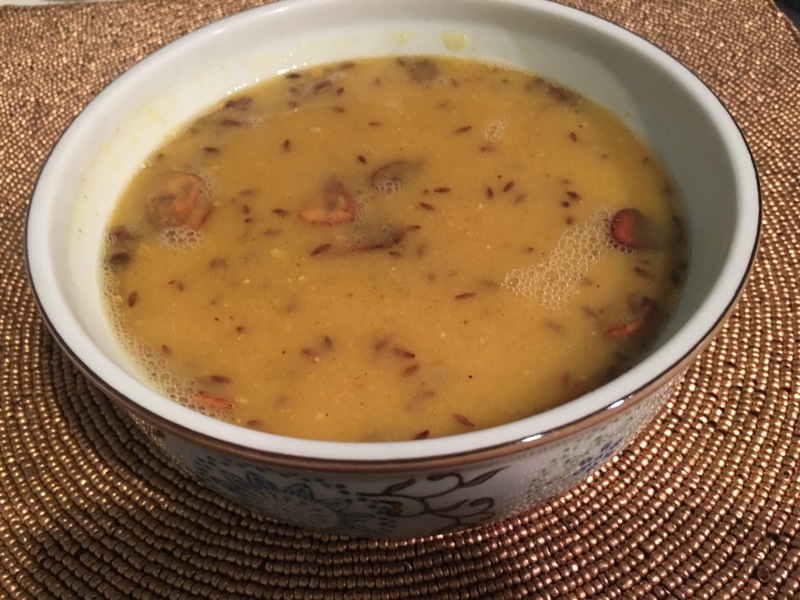 West Indian Dahl, aka yellow split peas soup. – Hurried Home Chef! 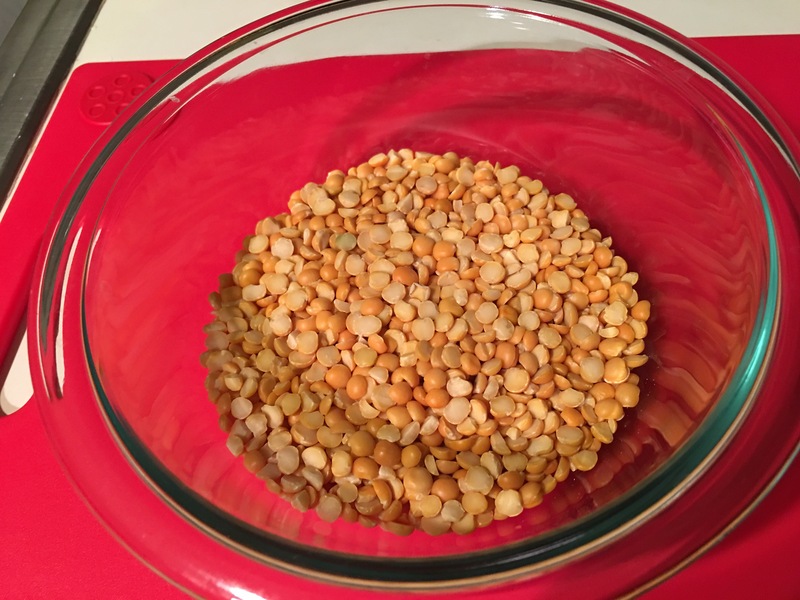 West Indian Dahl, aka yellow split peas soup. Unless you have an Indian granny like me, you may not know what to do with these. But this is a very easy dish to make and most of my friends of other cultures love it! 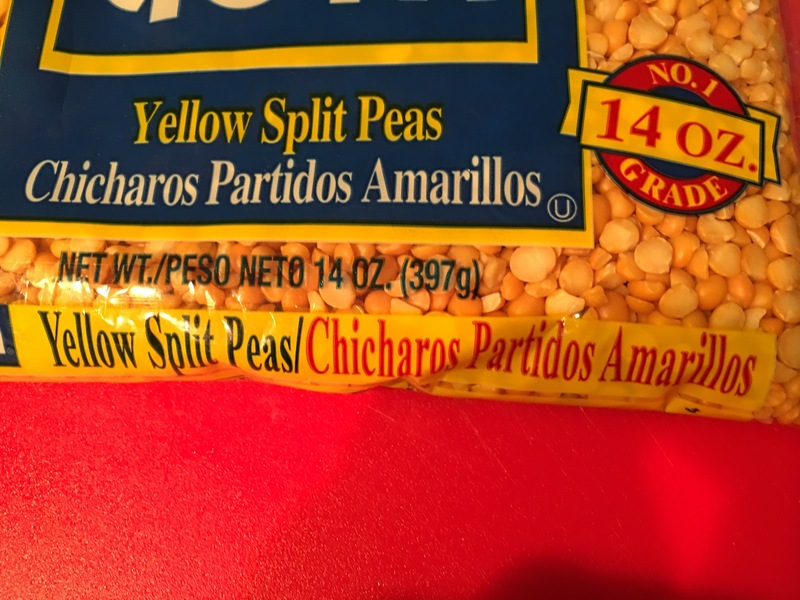 It is sort of like an American lentil soup. It is Vegan and gluten free. We usually eat it with rice and a curry dish. Step one is to soak the peas, I use a bowl about twice the size and fill to the top with water. Leave overnight. I usually make half the pack unless I’m cooking for more than 4 people, then I cook the whole thing. If you don’t have time to soak them, you will just cook it for longer or use a pressure cooker. They will swell and soften. I always keep cut onions in the fridge and use whatever kind I have. 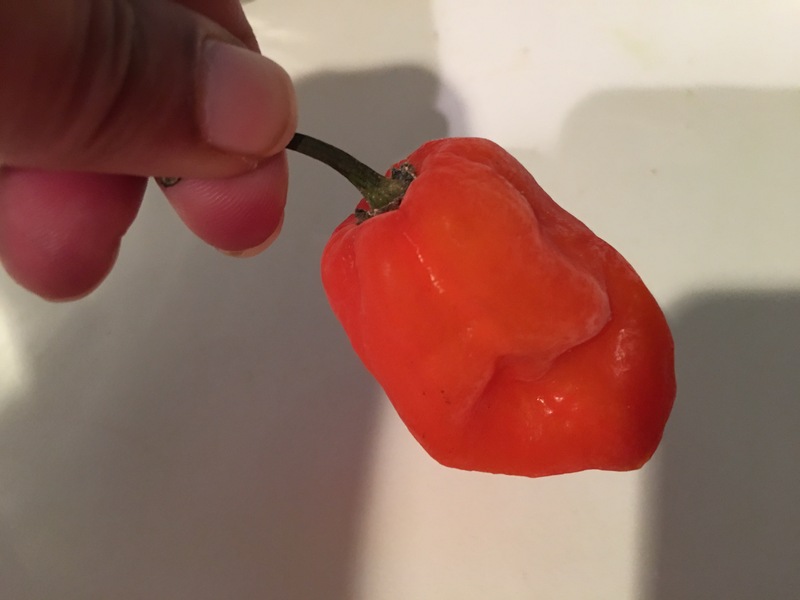 I like spicy foods and habaneros are easy to find. Buy a few or a pack and put them in your freezer. Do not wash them first. Then just cut off a piece and cook into your dish. Later I will show you how to make pepper sauce. Sauté the onions a bit, add peas and pepper. Then cover with water about 2 inches above peas. 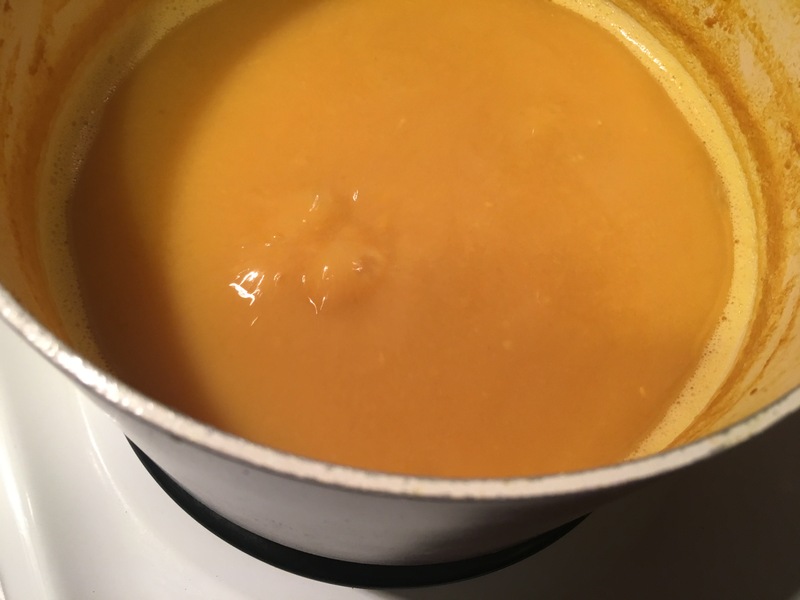 Add a teaspoon or so of turmeric, cover halfway and boil on medium to medium high heat (I used #6 out of 10 on my stove). Keep a boil but not too high that it boils over. I used a stick blender to smooth it out. Take this off the stove and using a small frying pan, heat some oil. 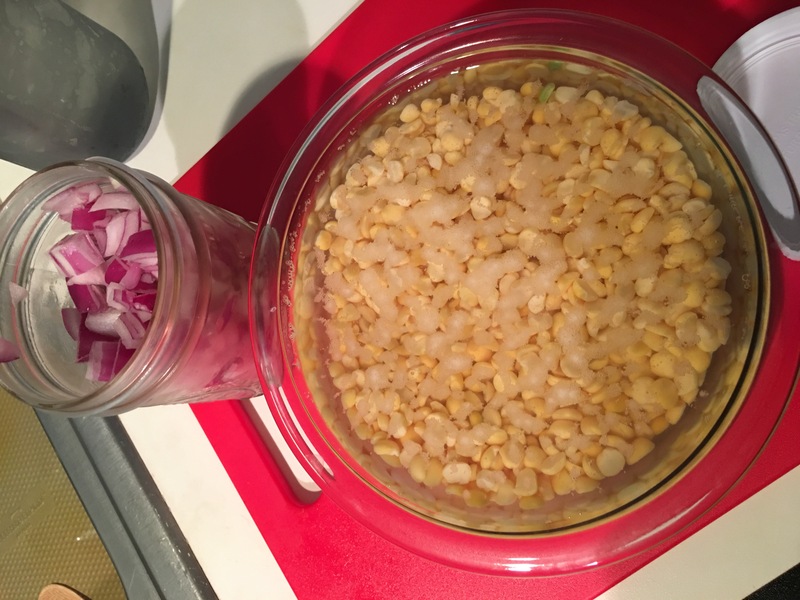 Cut fresh garlic and add. I used a bit more than usual because I’m a garlic fan. On medium high heat, cook it until slightly browned. 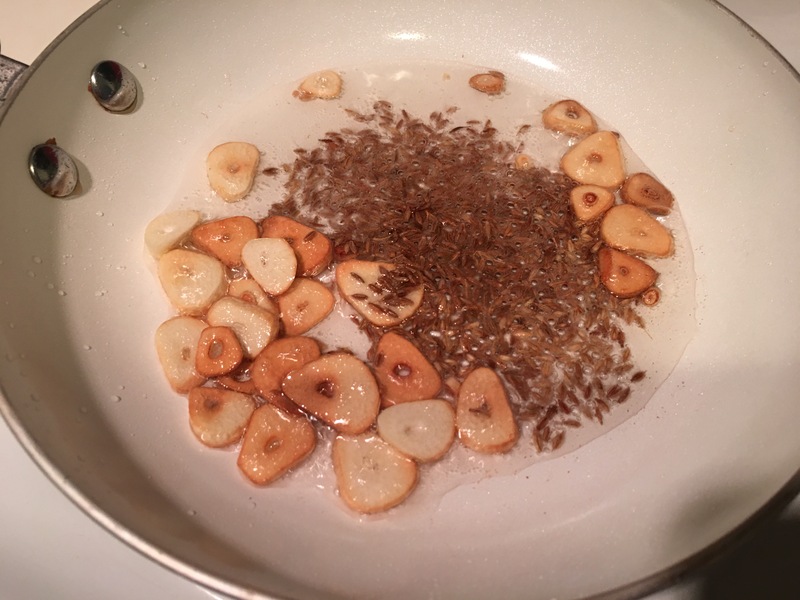 Add whole cumin seeds about a tablespoon. Sauté for a bit to wake up the flavor. Add around a teaspoon of ground cumin for just a second then pour carefully into the pot. Eat with basmati or jasmine rice, roti or naan, and curry! Those posts will come later. Cooking oil of choice or ghee. Next Post Chicken legs are for grown-ups too!